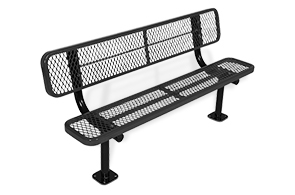 Popular for a wide variety of installations, the classic diamond pattern steel park bench offers versatility, built for resiliency and made for enjoyment. 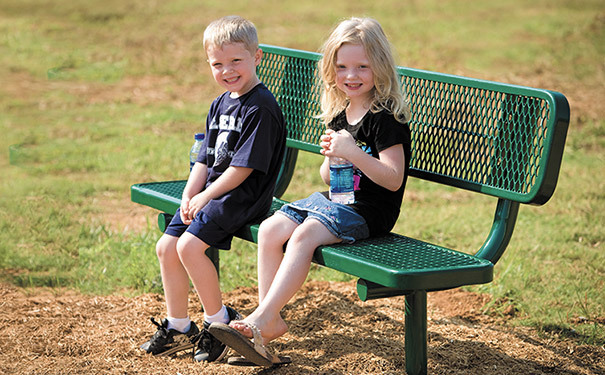 These benches feature smooth rounded edges for increased safety and comfort. The structurally sound steel bench frames are powder-coated and available in portable, in-ground, surface and wall mount options. The 12" wide diamond pattern bench seat and back, available in 6', 8', 10' or 15', are sealed in an impact and UV stabilized copolymer-based thermoplastic coating that enhance aesthetics while requiring no major maintenance.